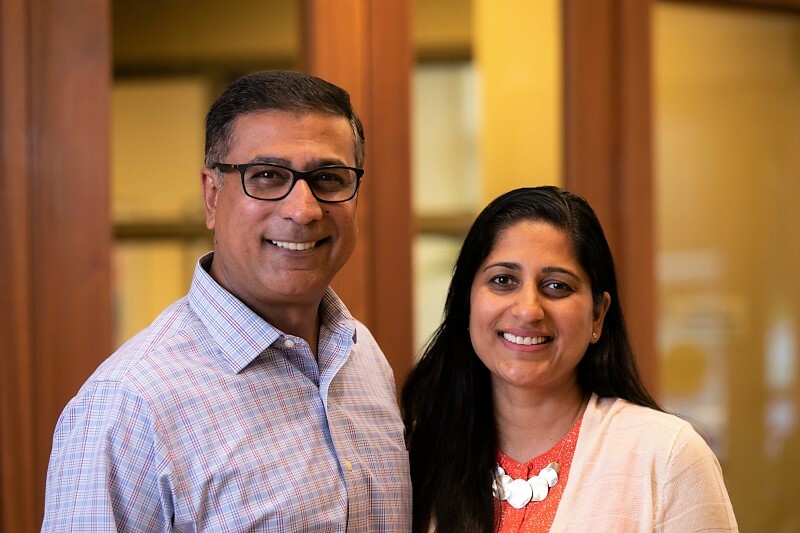 At FirstLight Home Care of Boston Northwest, we’re there when you can’t be… caring for your loved one just the way you would. 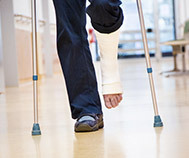 We’ve been in your shoes and understand the importance of quality and affordable home care for loved ones. We know what it takes to provide completely personalized companion care, personal care and respite care services for seniors, people with disabilities, those recovering from surgery, Veterans, new moms, or any adult who needs a helping hand at home. At our free in-home consultation, we enjoy taking the time to understand your needs and create an individualized Care Plan with a flexible schedule that fits your unique needs and budget. We do NOT believe in imposing hourly or weekly minimums. Whether it’s 2 hours a week or 24×7 care, you can have as many hours you need, whenever you need them. Our focus on finding and training extraordinary caregivers, as well as innovative services, ensures that you receive exceptional care that goes beyond the basics of bathing, housework, and trips to the doctor. Our caregivers go through specialized Dementia Training to assist clients with Alzheimer’s, Parkinson’s, Lewy body disease, and other dementia-related conditions. 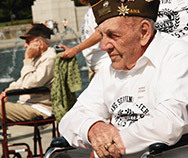 To make home care even more affordable, we accept Long-Term Care (LTC) Insurance, including assignment of benefits, and also assist veterans and their spouses with VA benefits eligibility. Compassionately serving Metro Boston area and surrounding communities, including Arlington, Belmont, Brighton, Brookline, Cambridge, Lexington, Medford, Melrose, Somerville, Stoneham, Wakefield, Waltham, Watertown, Winchester and Woburn. Call us today at 781-219-9462 to schedule your complimentary in-home consultation! Do you have an unconditional love for your loved ones? You would do anything for them, but you’re just too physically/mentally overwhelmed. Look no further because FirstLight Home Care is the unparalleled option for Medford, Lexington, Winchester, and surrounding communities. FirstLight Home Care offers flexible schedules and a plethora of home care options catering to your family’s needs. Some of the caregiver services we provide to the Medford, Winchester, and Lexington area is senior care, new mother assistance, and assistance to clients recovering from surgery. We have many devoted caregivers providing excellent care to our clients that trust in us to perform as such. It’s easy to see why FirstLight Home Care is the primary choice for families in need of a trustworthy helping hand. 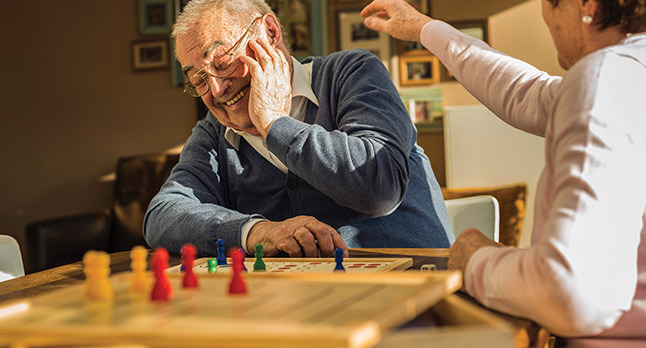 As the leading home care provider for the Medford, Winchester, and Lexington area, we believe that everyone should be able to live a full, satisfying life no matter the challenges. 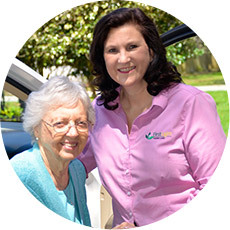 Our caregivers provide home care, senior care, respite care, and more to adults of all ages. Whatever assistance you or your loved one requires, we’re ready to design a care plan which accounts for all your specific needs. We give seniors and those with disabilities the ability to live a fulfilling life while staying safe and healthy. By providing home care to those who need it, we help people reclaim their life. The caregivers at FirstLight are compassionate people. 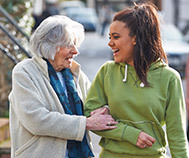 We’re here to help with day-to-day tasks or even personal companionship. Whether you need a dedicated, live-in caregiver, or just someone to visit, FirstLight is here to help. 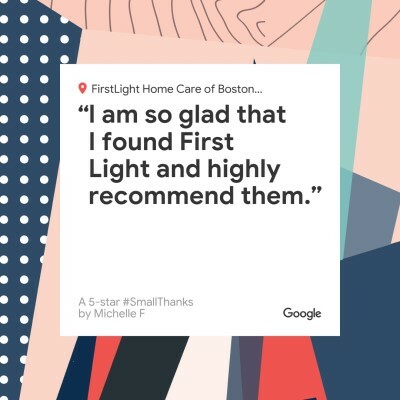 If you need a caregiver in Northwest Boston areas of Medford, Lexington, or Winchester area, contact FirstLight Home Care today. Caring for the Boston Northwest communities of Arlington, Belmont, Brighton, Brookline, Cambridge, Lexington, Medford, Melrose, Somerville, Stoneham, Wakefield, Waltham, Watertown, Winchester and Woburn.